Each year, PHC's Model UN delegation travels to New York City to represent their assigned countries (and PHC) in a simulated United Nations committee meeting. They prepare throughout the year for the international spring conference, during which they work to write, debate and pass resolutions to practice solving world-wide problems. In 2011, 2012, 2013, 2014, 2016, and 2017, Patrick Henry College was recognized as an Outstanding Delegation (the highest award possible) throughout the conference, and also received numerous individual awards. PHC is one of only 18 schools of over 300 participating internationally to receive this highest honor. This club provides and excellent opportunity to network with other students from around the world and practice the art of diplomacy. The club raises its own funds annually in order to participate in the national conference. 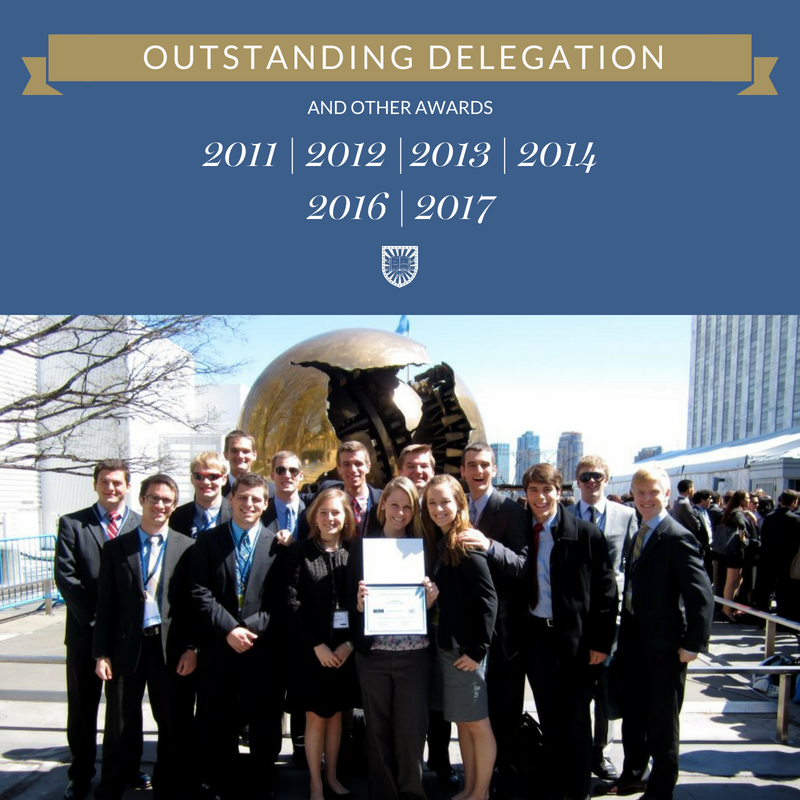 For more information or to get involved, contact NMUN President Emil Meintjes or Vice President Abigail Carter, or fill out the form below.